These fun alphabet coloring pages are a great way to practice writing letters as well as learning letter sounds. The pages can easily be turned into a fun keepsake book! 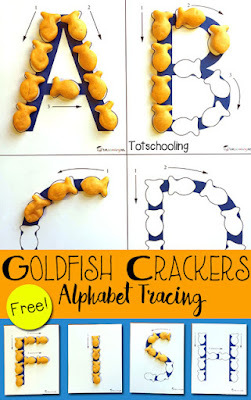 These FREE printable ABC worksheets are perfect for Pre-K and kindergarten kids to practice fine motor skills and letter sounds. The set includes 26 pages, one for each letter of the alphabet, with cute cartoon letters that kids will love to color! 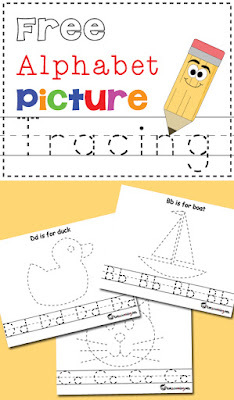 Each sheet also includes tracing and handwriting practice at the bottom. 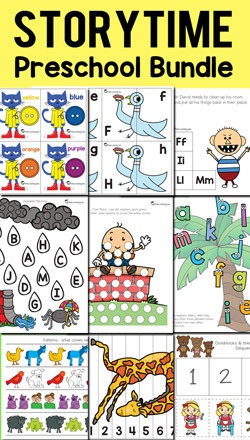 These alphabet coloring pages includes a cover page and can easily be turned into a cute keepsake book by stapling the pages together, or using ribbon or yarn to tie them together. 2 1/2, but it won't download. Hope you can help me. Enjoy the site. If it downloads, I can't print.?? ?